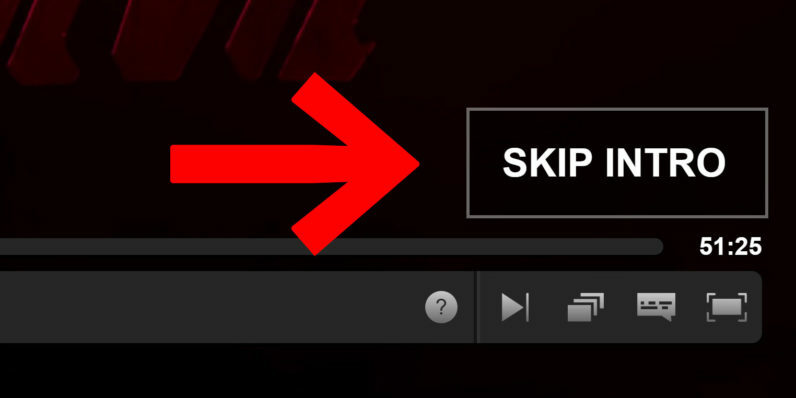 Netflix appears to be rolling out a button that allows you to skip a shows intro sequence, as spotted by The Verge. It turns out one of us at TNW has had the feature for a while as part of a test, but it seems to be rolling out globally now given widespread mention in social media. It seems it doesn’t show up on a show’s first episode – you know, they want you to at least see it once – but after that I was able to skip the intro on pretty much any show I tried (even if that intro didn’t happen at the very beginning of an episode). Mind you, I actually like watching the intros. As The Verge’s Casey Newton points out, it’s a good time to check your phone during a binge. And sometimes the music is really catchy. Or maybe I just need a quick bathroom break. That said, Netflix does often skip intros automatically during a binge anyway – although I’ve sometimes found it frustratingly cutting off crucial parts of an episode too – so the point may be a bit moot. For all those other times, the button is at least a nice option to have if you’re trying to marathon through a show as quickly as possible.